1. Log in to your account, using your username and password. 3. Add a new VPN configuration. Choose L2TP protocol. Enter your login and password, as well as the address of the server that you received in your account. 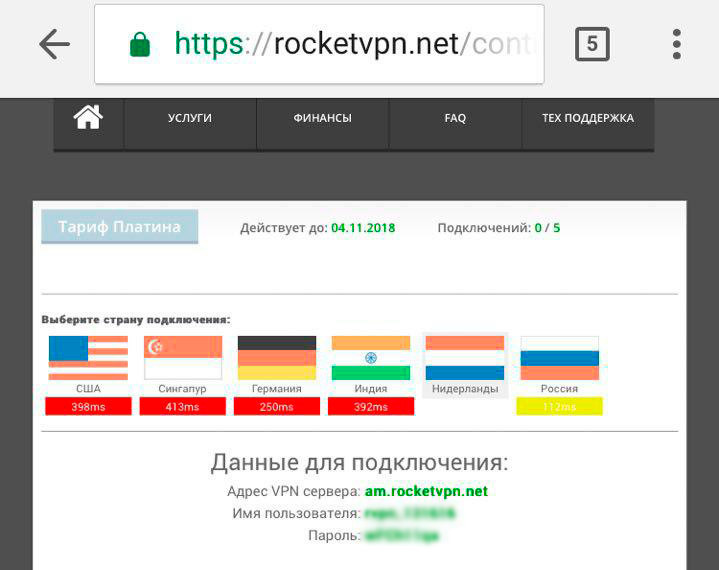 The secret word is RocketVPN. 4. 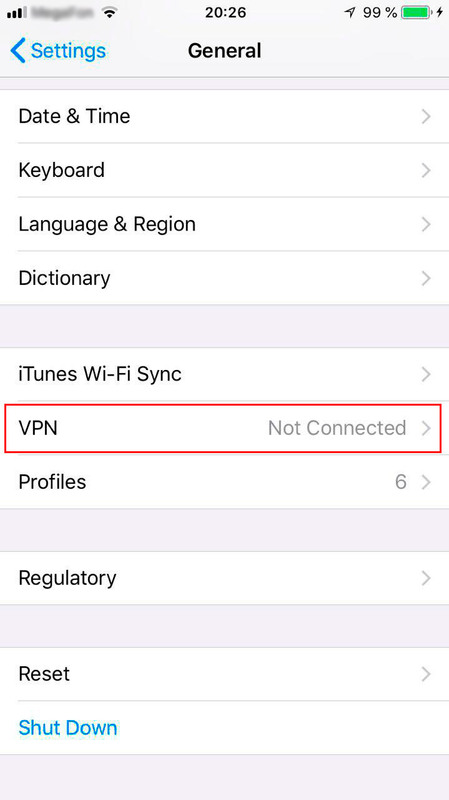 Go to the first iOS settings window, the "VPN" item will appear among the top settings there, go there. Select the pre-installed profile and move the "Connect" slider. In the upper left corner the VPN icon should light up. 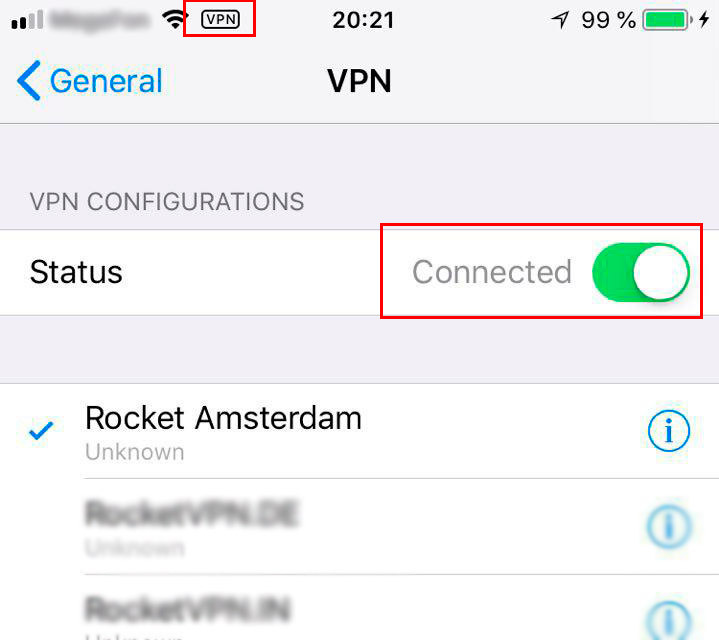 Then, whenever you need to go through a VPN, follow the last step from the instructions. 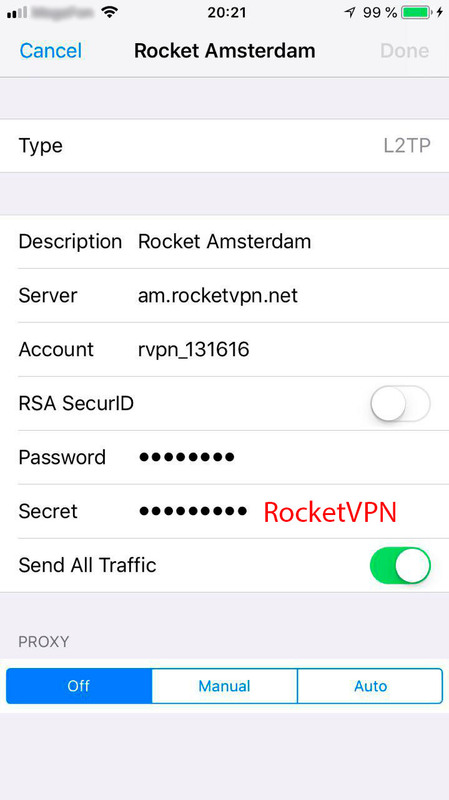 We recommended using OpenVPN with all type of mobile devices.